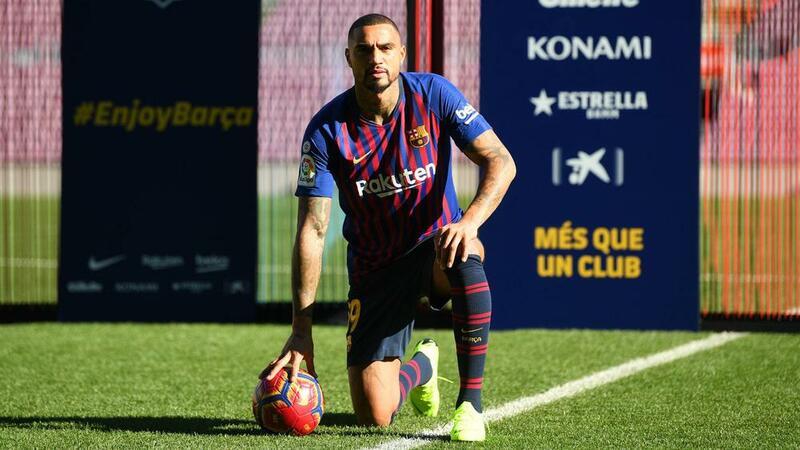 Barcelona coach Ernesto Valverde has defended the arrival of Kevin-Prince Boateng, telling the media they have been critical of "all" signings during his tenure as coach. Boateng completed an unlikely loan switch from Sassuolo on Monday, with Barca also having the right to purchase him for €8million during his stay. The signing raised eyebrows throughout world football, with many surprised by Barca opting to sign the journeyman midfielder, whose three most recent clubs were Sassuolo, Eintracht Frankfurt and Las Palmas. But Valverde pointed out media coverage of Barca's signings during his time at the club has generally been negative, yet few have been deemed failures. Speaking to reporters ahead of Wednesday's Copa del Rey quarter-final first leg at Sevilla, Valverde said: "Since I've been here, all of them are controversial signings, and then...? "[About] Arturo Vidal, Paulinho, you talked a lot, with Arthur also, then he also gives us a great performance. Things always end up going well. "The departure of Munir [El Haddadi] is a matter of the club, and we would like to have strikers in the team who score 15 goals, but that's not been the case. Boateng arrives for a few months. "He knows the trade, a player who, having made a career in other positions, now plays as a number nine, he knows LaLiga and the role he is playing in. "He was available, Munir left, the club thought he was the best option and I hope he helps us a lot." Boateng has on occasion been accused of having problems with his attitude, but Valverde insists the former Ghana international has a clean slate at Camp Nou. "We trust in the presumption of innocence," Valverde said. "We do not want to fight with him, but want him to help us and to score goals. In Las Palmas he had a great year." One player linked with a move away from Barca is Brazilian winger Malcom, who is said to be interesting Tottenham, among other clubs. Valverde accepts the former Bordeaux talent could depart, though he feels Malcom has the talent to play for Barca if he commits himself. "Until January 31, everything can happen," Valverde said. "But we cannot run out of players. "There are players who play more and others less. Malcom must fight to play more, because he has the qualities to do so. We expect a lot from him."